 TROY — The ValleyCats used consistent scoring in the middle and late innings and carried that to a 4-2 victory on Thursday night at Joe Bruno Stadium against the Vermont Lake Monsters. Things started well for Tri-City on the defensive side of the ball as starting pitcher Bryan Abreu quickly and easily got through the first four innings, not allowing a run and doing so on just one hit and struck out nine Lake Monster hitters for the 12 outs that he recorded. “Impressive. That’s who he is. He’s one of the more impressive pitchers in our whole organization, so just to see his consistency and the way he attacked the zone tonight just showed everybody here what he is capable of moving forward,” ValleyCats manager Jason Bell said. However, while Abreu set down the Lake Monsters in a strong fashion, the ValleyCat offense was struggling. They did not get a hit until one out in the fourth inning, when Jeremy Pena doubled. He later came in to score on two straight wild pitches from Vermont starter Jhenderson Hurtado. He had been moved to the third in the batting order to try to give him a change of scenery of sorts, having hit leadoff 14 times and fifth three times across his 17 starts prior to Thursday’s game. “It doesn’t change my approach. Still got to go out there and try to be aggressive, have the same approach as if I’m hitting first or if I’m hitting last, so just trying to do my job,” Pena said. The ValleyCats scored a second run in the fifth inning on a sacrifice fly from Alex Holderbach and never let Vermont tie the game even though they scored a run in the sixth and seventh inning. The game really went in favor of the ValleyCats in the eighth inning as Vermont left the tying run in Anthony Churlin stranded at second base, and then the offensive answer came in the bottom half as Gilberto Celestino led off the frame with a long solo home run that made it 4-2. Celestino had two runs scored on the night, as he also scored a run in the sixth inning, coming home from third as Vermont was distracted by a rundown of Alex McKenna between first and second base. “We wanted to steal there so we could have (runners on) second and third to avoid a double play, and when that happens, for me, I want the first baseman to throw the ball (home) so when the first baseman touches it that’s the best time to go,” Bell explained. The ValleyCats are now 10-10 on the season following the win and have won two of the first five games in a scheduling oddity that sees the Lake Monsters and ValleyCats playing a six game, home-and-home series. The final game will be played on Friday night at 7 p.m. at Joe Bruno Stadium. The probable pitchers are Felipe Tejada for Tri-City and Rafael Kelly for Vermont.